Once a small fishing village, San Pedro, Ambergris Caye has grown to be a popular tourism destination in with approximately 20 thousand inhabitants (at the peak of tourism season). 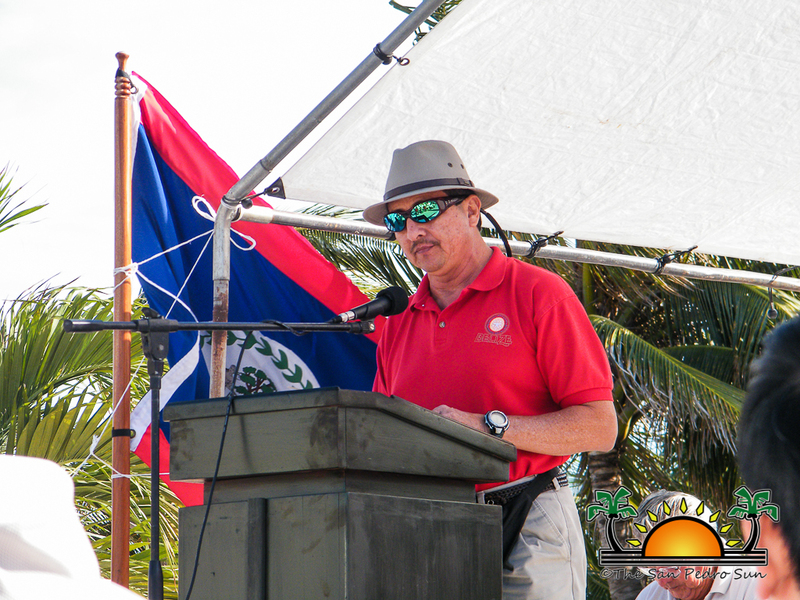 With the ever growing number of people on the island, garbage disposal has become a major concern. 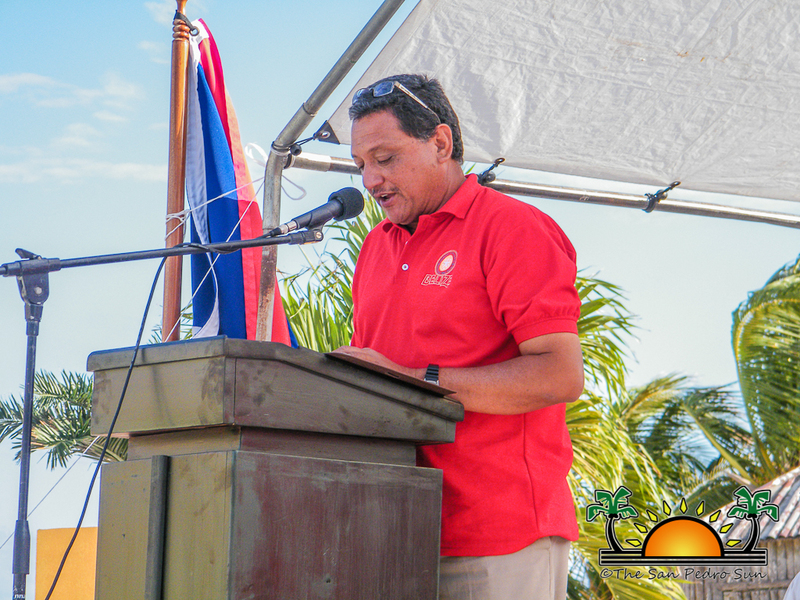 Large resorts and many restaurants that cater to the added thousands of visitors that flock the island annually, generate large amounts of garbage that, if not properly disposed, can become hazardous to our Caribbean waters and marine life, not to mention our already fragile reef system. 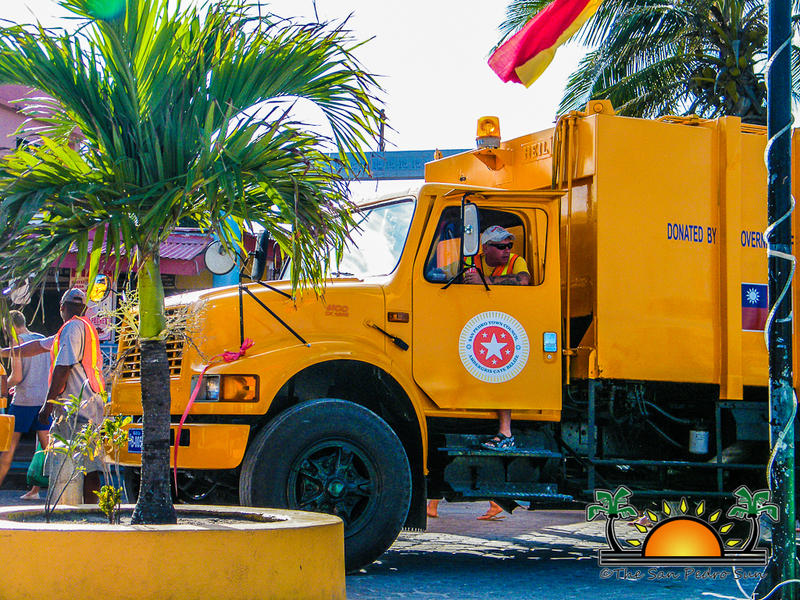 For these reasons The San Pedro Town Council (SPTC) has made solid waste management a key focus for the council. 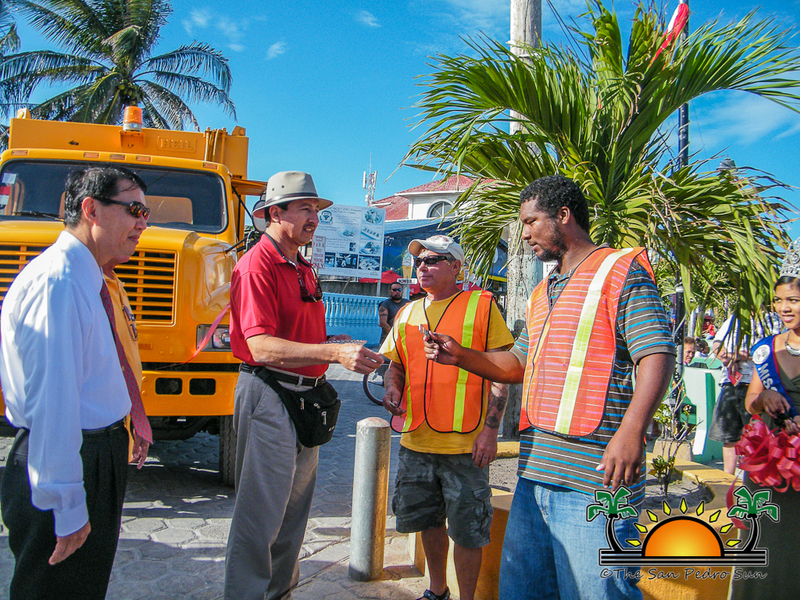 On Friday March 15th, SPTC got a major boost in their efforts to control garbage on the island. Two brand new garbage compactors were donated to the town of San Pedro by Taiwan (The Republic of China). 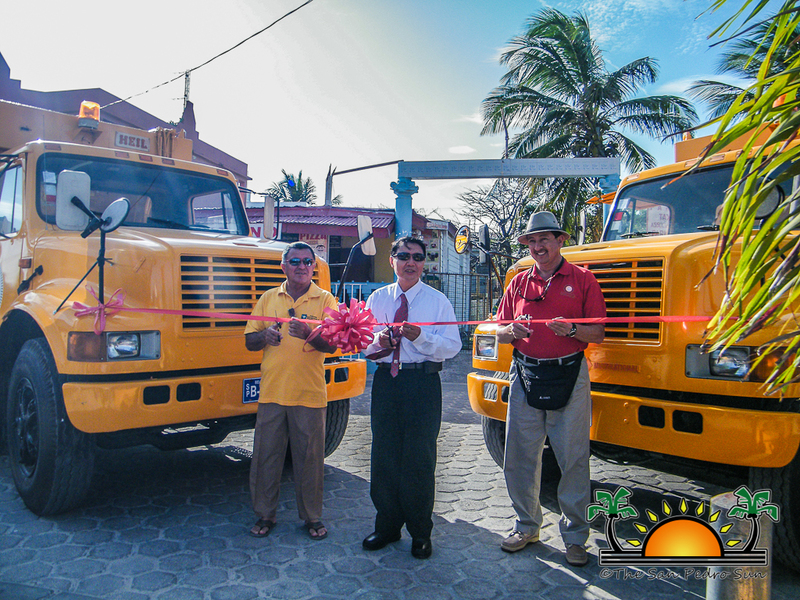 Obtaining the compactors begun under the council of the previous mayor Elsa Paz and with continued efforts of current mayor Daniel Guerrero, the mission became a reality. 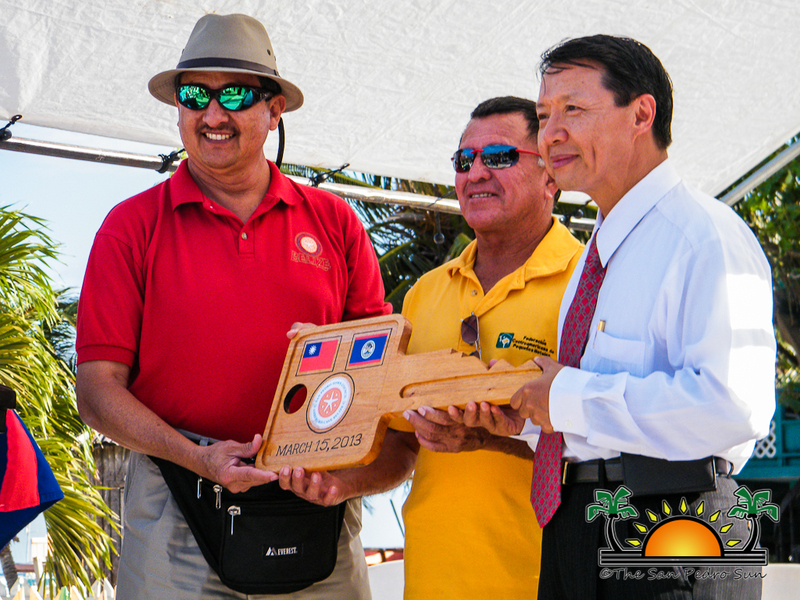 For many years, Taiwan has been providing assistance to Belize, including a previous donation of a garbage compactor to the Corozal Free Zone, which has benefited that town tremendously. To celebrate this milestone, SPTC held an inauguration ceremony at the Central Park to honor and Taiwan for their continued support. The ceremony took place at 3PM and the general public was invited to witness the event. 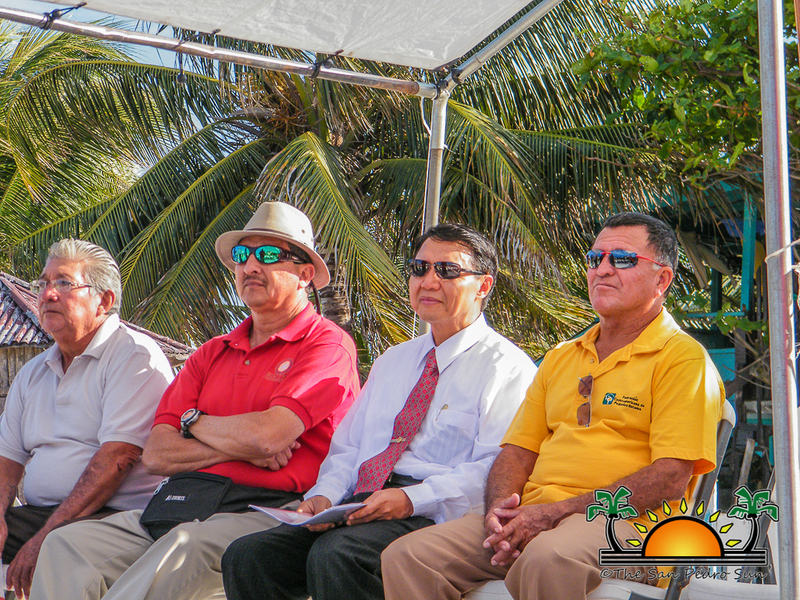 Present at the event was Chief of Police Mr. Luis Castellanos, Inspector of Police Reynaldo Pook, Area Representative Honorable Manuel Heredia Jr., Mayor of San Pedro Daniel Guerrero and of course, Ambassador of Taiwan to Belize, His Excellency David Wu. 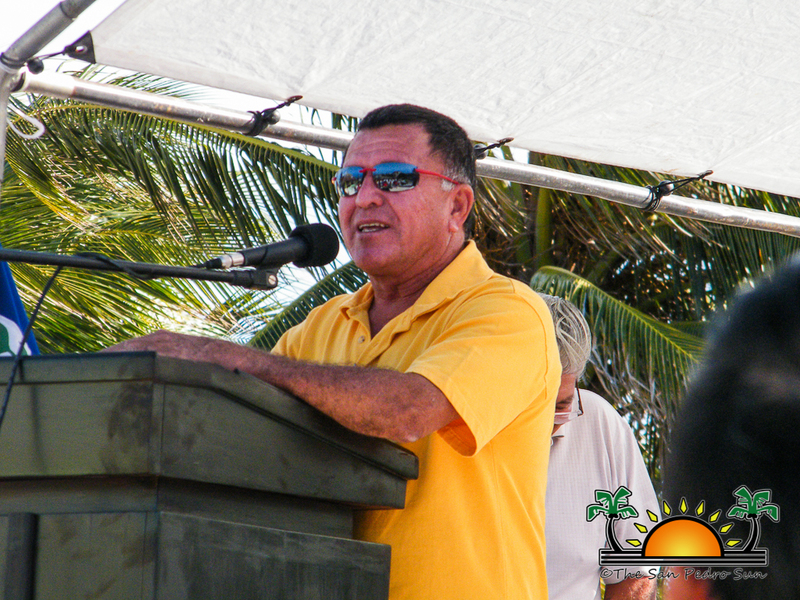 Master of Ceremonies for the event was local resident Angel Nuñez. Both Mayor Guerrero and Minister Heredia expressed their deep gratitude to the government of Taiwan for their generous donations. Mayor Guerrero ensured Ambassador Wu that the compactors will be put to good use. Taiwan is one of the fastest growing countries in the world, and as such, has had to master the disposal of garbage generated by its large population. Taiwan has become a leading country in recycling products. Taiwan’s overall recycling rate reached approximately 45% in 2009, higher than the rate for the United States, the United Kingdom, France and other industrialized nations. 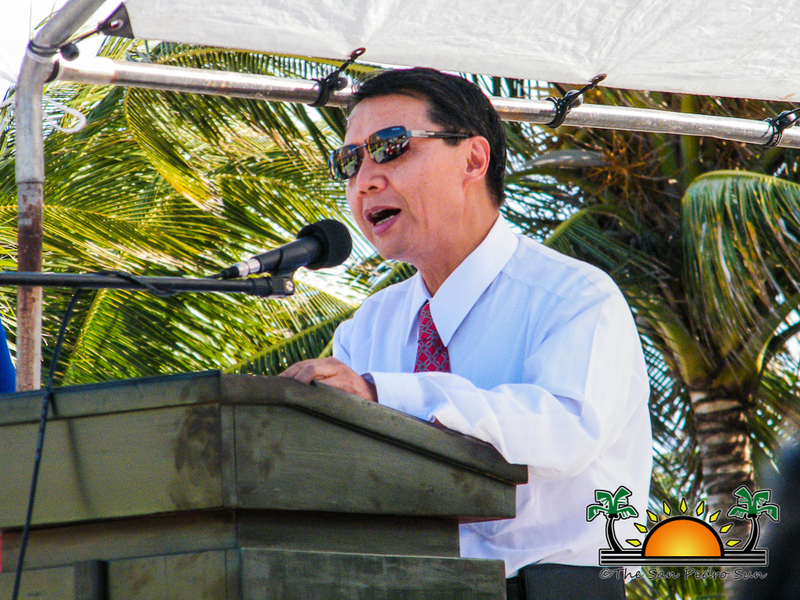 In his speech, Ambassador Wu outlined the achievements Taiwan has accomplished in garbage disposal. 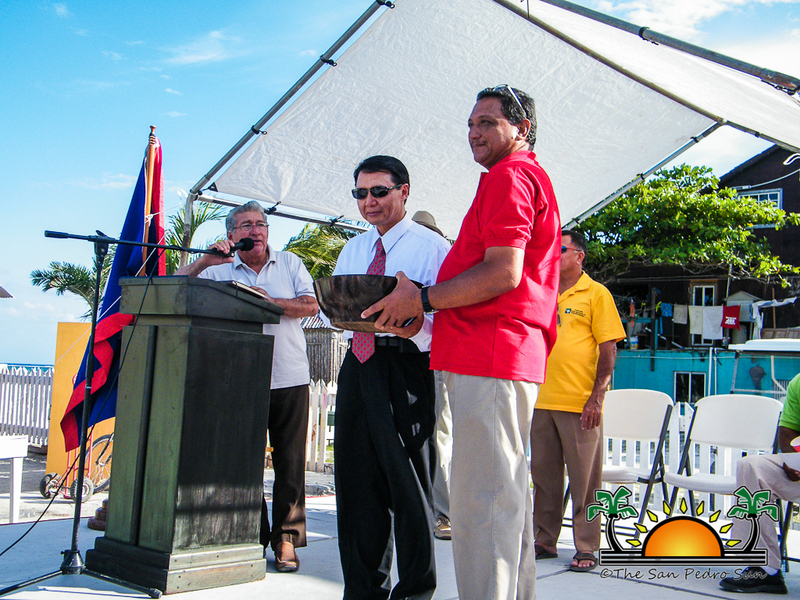 The donation, according to Ambassador Wu, is proof of the good relationship that exists between Belize and Taiwan. 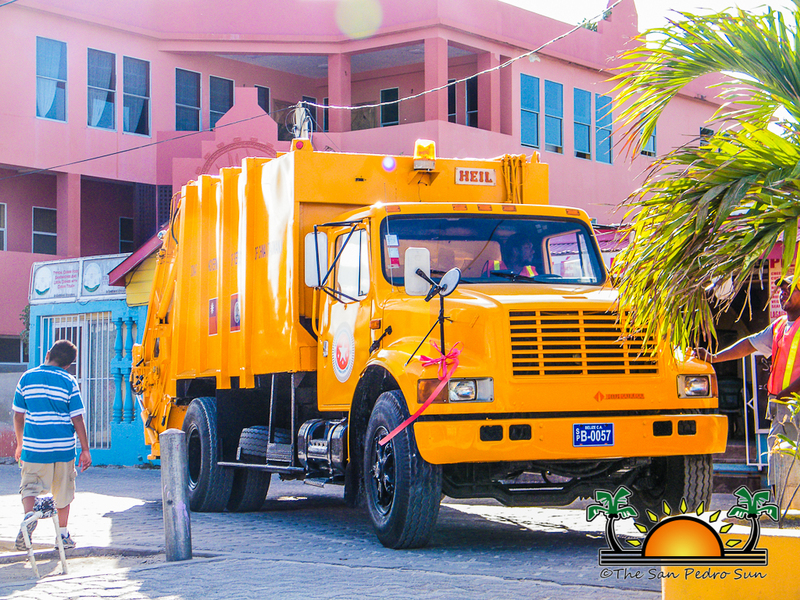 The trucks, valued at over $100,000 U.S, will help the island dispose of its garbage quicker and effortlessly. Councilor Kenrick Bracket, councilor in charge of solid waste management encourages the residents of San Pedro to separate their garbage into recyclable material so as to simplify the disposal process. Ambassador Wu has invited Mayor Guerrero to visit the Republic of China in the coming month and enjoy the same hospitality offered to him by San Pedro. The San Pedro Sun joins the SPTC in thanking Ambassador Wu and the government of Taiwan for their kind donation to La Isla Bonita.